The BRAID initiative (Building, Recruiting, and Inclusion for Diversity), founded in 2014 by Dr. Maria Klawe, President of Harvey Mudd College and Dr. Telle Whitney, former President of AnitaB.org, aims to increase the percentage of women and students of color majoring in computing fields. The BRAID initiative includes fifteen computing departments across the U.S. that are committed to implementing changes to their introductory computing courses, pathways into the major, departmental climate, and outreach efforts in hopes of diversifying their computing majors. Participating BRAID institutions reflect great variety in their size, student populations, geographic location, and departmental composition. What is the role of the department chair in leading diversity-related efforts? How have recent booming enrollments in computing affected diversity efforts? In what ways do BRAID institutions endeavor to increase the representation of women and underrepresented minority (URM) students in undergraduate computer science? What are the in-class and out-of-class experiences of diverse populations enrolling in introductory computing courses at BRAID institutions? What computing environments predict gains in desired student outcomes (pursuit of computing majors and careers, computing confidence, sense of belonging, etc.) by the end of the intro course and in subsequent years after taking the course? What are the various academic pathways that students take to computing majors and careers? How does all of this vary by students’ gender and race/ethnicity? 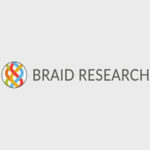 The BRAID Research project is currently focusing on the original 15 BRAID institutions and is not presently seeking new study sites. However, our findings may be useful to any individuals or computing departments interested in empirical research that explores departmental efforts to broaden participation in undergraduate computing. The “Findings” page of our website contains the most up-to-date list of our research publications and links to the articles, as well as a list of where we have presented our findings. To receive copies of our past presentations or to inquire about booking the research team for speaking engagements, contact Dr. Lehman via braidresearch@gmail.com.